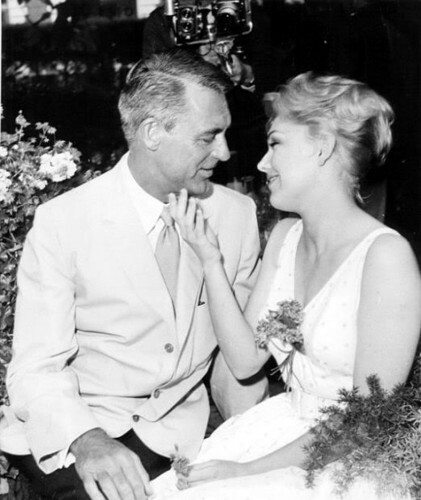 Cary Grant & Kim Novak. In Cannes, 1959.. Wallpaper and background images in the Classic فلمیں club. This Classic فلمیں photo might contain کاروبار سوٹ, بزنس سوٹ, گلدستے, سے corsage, میں posy, nosegay, بکی, کورساج, گلدستہ, and نوسیگی.